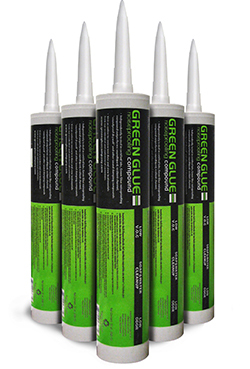 Green Glue is a liquid, waterborne, viscoelastic damping compound which represents the highest performance product of its type. 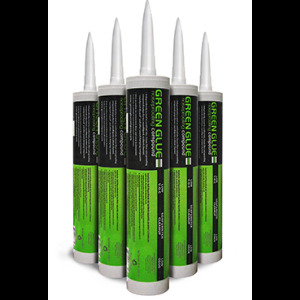 We are aware of no product available to the construction market which can deliver damping levels even 30% as high as those offered by Green Glue. It is also significantly lower in applied cost than competitive products, getting a better cost/performance ratio in the damping of normal construction materials such as drywall, wood products, etc. Finally, it is remarkably tolerant to real-world application conditions and carries almost none of the burden of precision required by many damping systems.